"Culture" has the potential to be Migos' strongest work yet. Fresh off earning a #1 single with "Bad and Boujee," the anticipation for Migos' long-awaited sophomore album Culture has never been higher. With the project set to arrive later this month, we've decided to put together a wishlist for what we want from the album. We trust Quavo, Offset, and Takeoff's judgement better than our own at this point, but we can't help but have certain hopes about the project as we patiently await its arrival. Click through the galleries to see five things we're looking for on Culture, which will be released on January 27th. Regardless of how some may feel about Lil Uzi Vert's verse, "Bad and Boujee" is more or less a perfect song. Unfortunately, it didn't leave room for a Takeoff verse, meaning he's been left out of the hype around the single. This is why we want to hear Takeoff taking the lead on a big record on the album, proving to new fans that he's just as essential to Migos as the currently more visible Quavo and Offset. 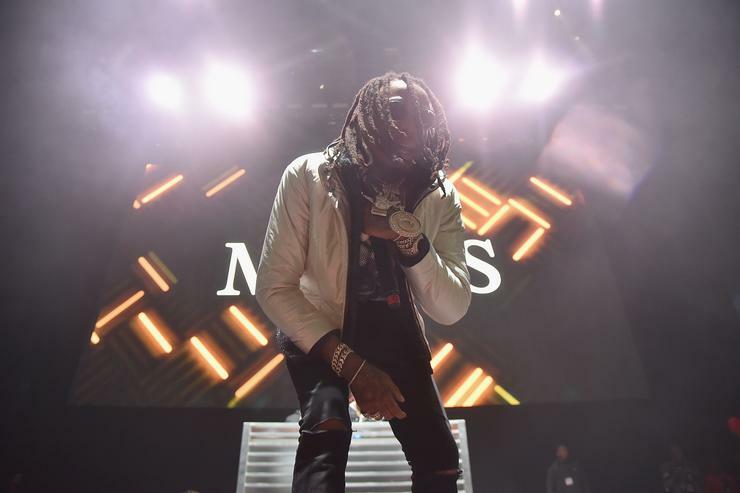 The newly released "T-Shirt," which finds him sharing the hook with Quavo, is a good argument for his value to the group, but we want to hear even more of the youngest Migo on the album. While it's become more common for artists to work with one producer throughout a project (21 Savage and Metro Boomin's Savage Mode, Future and Zaytoven's Beast Mode), Migos' single-based approach works best when there are a few beatmakers in the mix. While we'd hate to see them stray too far out of the Atlanta trap sound they've made their name on, we'd love too see a range of the city's many producers present. Metro, Zay, Honorable C.N.O.T.E., Dun Deal, Southside, TM88 are all welcome, and of course, Canadian outlier Murda Beatz. Quavo has proved himself as the trio's go-to hook-writer, and while we're sure he'll have many new choruses for us on Culture, we're interested to hear more from Offset. "Bad and Boujee" would be nearly as strong as a solo Offset track, something more casual fans of the group may not have expected. Now that we know what he's capable of, we're hoping Offset gets similar opportunities to shine on hooks throughout Culture. 2 Chainz had a pretty incredible 2016, giving Kanye West's "Champions" crew track its best verse and releasing many memorable tracks across his 4 projects. The rapper formerly known as Titi Boi is conformed as a feature on "Deadz," and we're hoping he brings his A-game once again and gives us a verse full of quotables that ranks among his work from 2016. If we get that, "Deadz" could easily be one of the most effective tracks on Culture. Migos are known for making hits on their own terms, and there's no reason Culture should aspire to do anything more than that. Yung Rich Nation, the proper debut album from the group, found them trying to round out their repertoire with less catchy tracks, as well as attempting to level-up their chart potential with a Chris Brown hook. It's never been more clear that the best path for the trio is the one they've sculpted out since their breakthrough single "Versace." All these three need is each other to make the best music possible, and if they follow their own blueprint, Culture could easily be their best work yet.